George Tiakas (aka Xronir) was born in Thessaloniki, and he first recorded in 1999 in a collection of Fm Records with the band En Lefko (Εν Λευκώ). 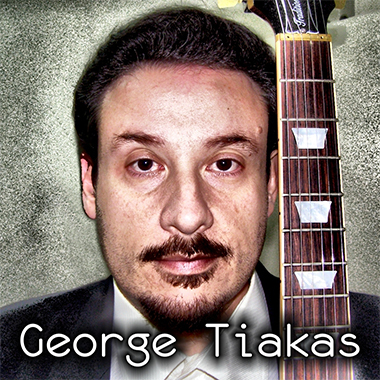 After a year he released a complete album of En Lefkos containing several compositions and lyrics. In 2002 he set up the Xronir band in which he assumes his role as a songwriter and a composer. George has five releases including “In the mouth of madness” (2003),”Xronir” (2008), “Save the planet” (2012), “Gray Country” (2014), and “Songs for Few” (2016).